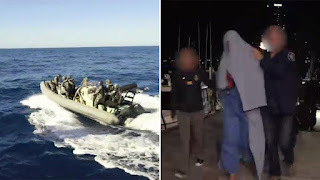 The pair were in a boat headed for the Australian mainland when they were spotted by surveillance aircraft off the coast of New South Wales. 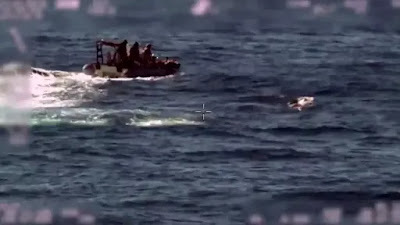 As a navy patrol boat approached, the men attempted to escape and threw items into the sea. 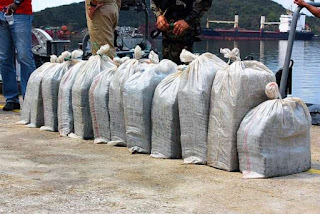 Officials retrieved more than 600kg (1,300 pounds) of cocaine and intercepted the pair off Byron Bay, a tourist destination. 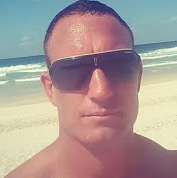 Dru Anthony Baggaley, 36, and Anthony Trevor Draper, 53, appeared in a Gold Coast court charged with possessing a commercial quantity of drugs and importation.